If you constantly wake up with puffy, swollen eyes, try this simple switch: Add an extra pillow and sleep on your back. This will allow the fluids around your eyes to drain easier and keep the puffiness to a minimum. And of course, don’t forget your eye cream. Look for creams that list caffeine as one of the ingredients—it will help keep fluids moving. Ladies with dry skin, take note: A humidifier might just change your skin forever. Turn one on before you sleep (this works best during colder months when the air is drier) and let it work its magic. It instills the air with moisture, which in turn helps plump your skin and keep it hydrated. 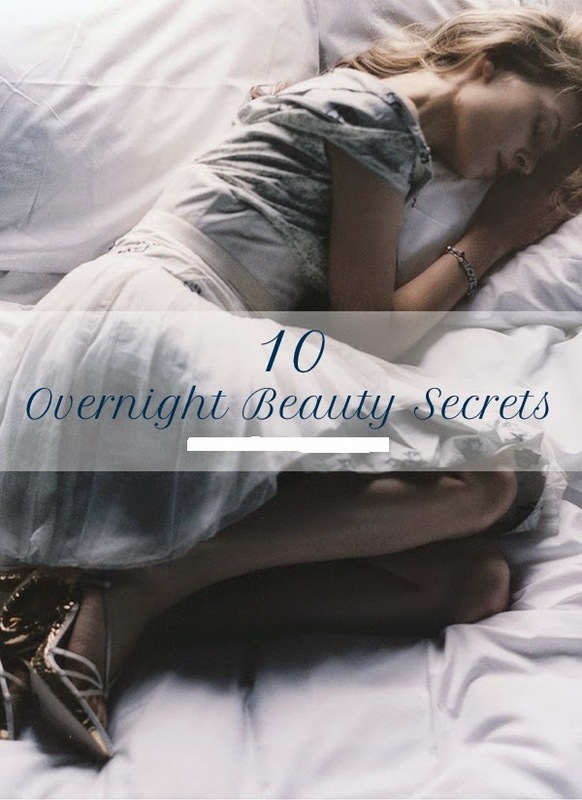 Sleeping on a cotton pillowcase can cause creases on your skin and create wrinkles. Instead, pamper yourself by investing in a silk or satin one. It will lessen the pressure on your skin and help prevent hair breakage. For an easy DIY whitening treatment, try brushing some baking soda to your pearly whites right before bed. Leave the mixture on for 5-6 minutes and make sure to rinse thoroughly afterwards. This is a perfect PM beauty treatment because in the waking hours, you would normally have to wait about 50 minutes before eating or drinking anything afterwards. Just make sure you are only doing this once a week; any more, and the acid in baking soda can wear down your tooth enamel.